A walk around almost any winery will reveal stacks upon stacks of beautiful oak barrels – some old, some new, but all holding the promise of beautifully maturing wine. This is a tradition that is centuries old, spawning from the times of ancient Rome. For us at Campbells, the use of oak barrels has always been incorporated into our winemaking process, which dates back almost 150 years. As more modern winemaking trends have come and gone, we’ve held true to our philosophy when it comes to barrel maturation techniques, welcoming the subtle flavour nuances that the best quality oak can bring. Our winemaking philosophy is to use oak to enhance the natural fruit flavours in our wines, not to dominate. Col’s belief has always been for oak to play a supportive role to the fruit to achieve optimum balance in our wines. Over the next few editions we will be unveiling the art and science behind oak maturation in white, red and fortified wines. To begin, we’ll be taking a look at the role and influence of oak in the fermentation and maturation of our wooded white wines. For our wooded whites, such as our Limited Release Chardonnay and our Roussanne, Marsanne and Viognier wines, the selection of the oak barrels that we use plays a huge role in the wine’s development of flavours. 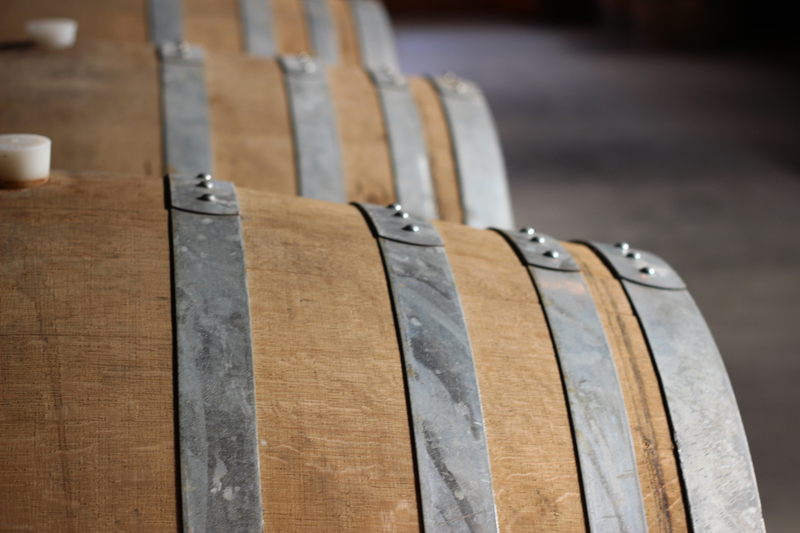 All of our white wine barrels used at the winery are made from traditional French oak sourced from the regions of Allier, Vosges, Troncais and Nevers. This oak is then taken to the cooperages of Dargaud & Jaegle, Damy, Tonnellerie D’Aquitaine and AP John, who are historic barrel makers renowned the world over. They bend and hand shape the wood in the ways of the old, using fire to add characters of medium toast. The barrels are then ‘air seasoned’ for a lengthy period, which results in the finished product possessing elegant characteristics. We choose the very best of these barrels for their fine grain and contribution of aromatic components like subtle vanilla, spice and tannins, which add layers of complexity. These barrel characteristics provide the finished wine with well-integrated, subtle flavours that are imparted from the wood. Once these world-class barrels are sitting within the walls of our winery, it’s time to fill them with world-class wine! In the case of our Limited Release Chardonnay, we choose only the best grape parcels from our vineyards. We begin the fermenting process in stainless steel tanks, before transferring the wine to the French oak puncheons to complete fermentation. Inside these puncheons is where the wine really begins to take shape. The activity of the yeast inside assists the oak integration. We keep a careful eye on the wine, stirring the lees within the barrels once a week to maximise the flavour and ensure all the sugars are converted to alcohol. As the yeast begins to break down it releases even more compounds into the wine which adds to the body, structure and creaminess of the finished product. From there, our Limited Release Chardonnay is born. Showcasing light floral aromas on the nose with subtle vanillin oak in the background, this wine has a gorgeous lifted palate with hints of sweet peach and fresh acidity. The barrel fermentation ultimately provides complexity and a dry, creamy texture on the finish. Test your awareness of oak flavours in wine! To improve your awareness of oak flavours, purchase a bottle of both the core range Chardonnay (“very lightly wooded”) and Limited Release Chardonnay (“wood aged”), find 2 or 3 friends, 6 or 8 glasses and taste both side by side, noting down the differing aromas and the sensations in your mouth. Pair the experience with a beautiful chicken terrine or barbecued pipis to really top off the night!